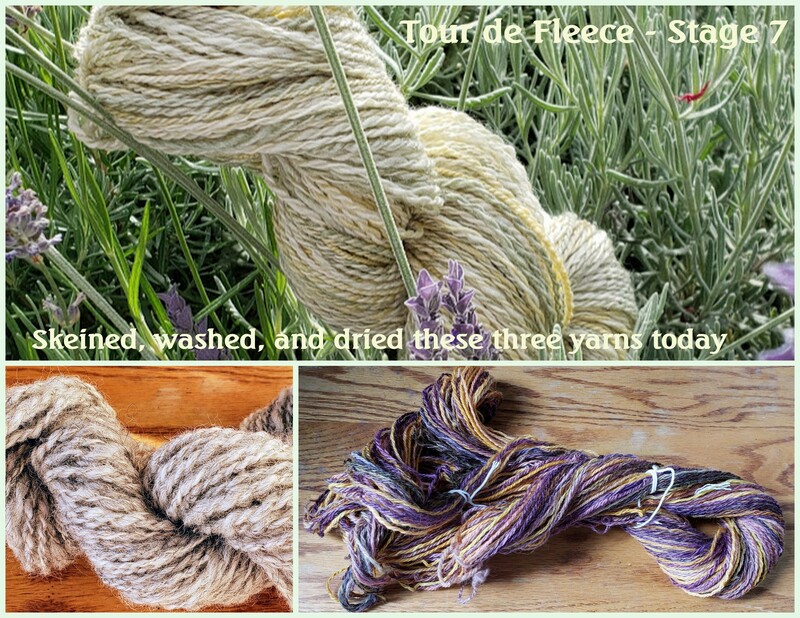 I’ve been so busy spinning and photographing and posting my progress to Ravelry, that my poor bloggie gets left in the dust! So here’s more photos of what I’ve been doing. 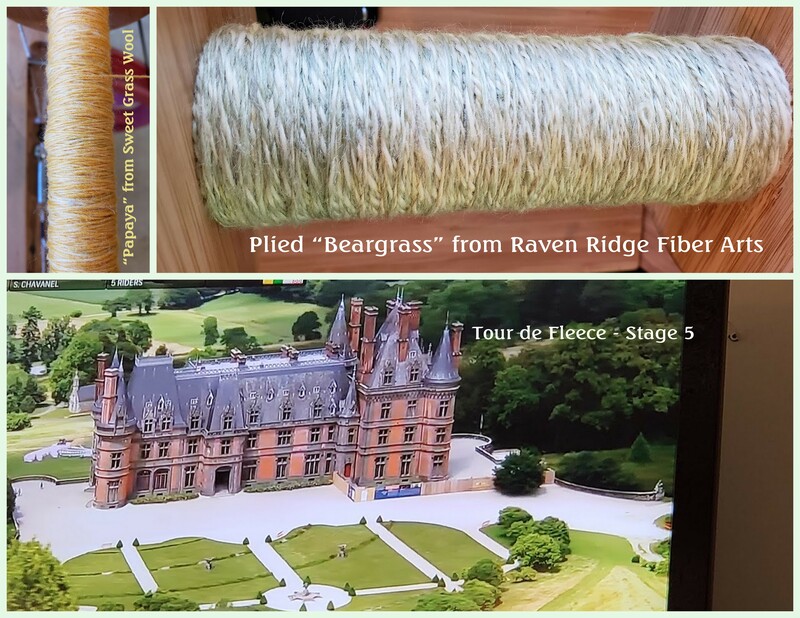 I finished spinning Beargrass from Raven Ridge Fiber Arts (my favorite indie dyer). 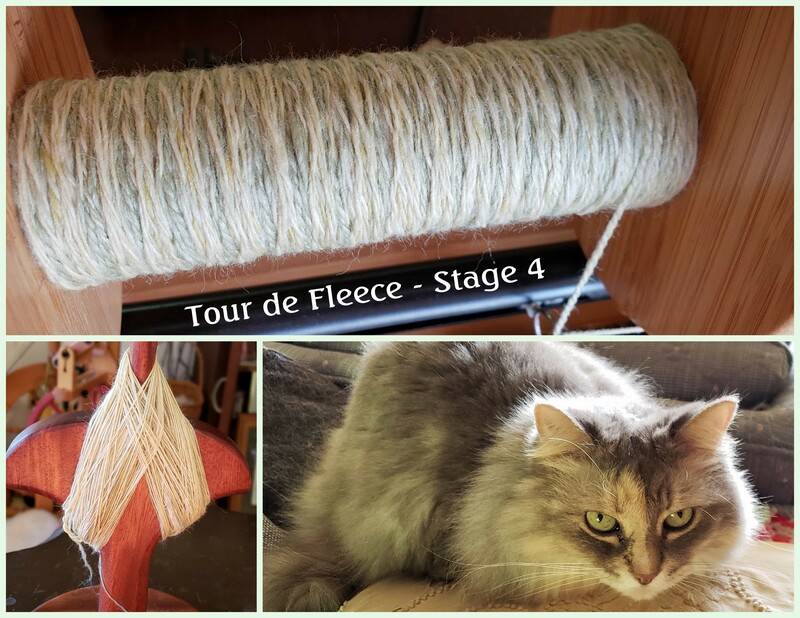 I learned how to use an Andean plying tool from Gift of Grace Handspun, and Noelani supervised everything. The Andean plying tool is made from Curly Koa from Maui, and I love it so much. Then I plied Beargrass and started on Papaya from Sweet Grass Wool. And imagined what it’d be like living in that French castle. With people to do all the cooking and cleaning and yardwork, of course. 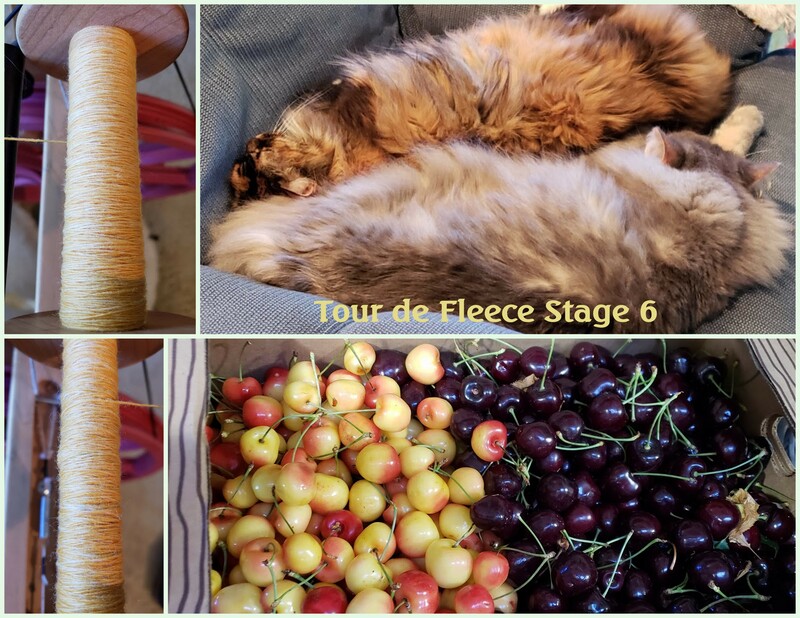 Spinning more Papaya, my mascats sleeping away, and getting 20 lbs of Mt Hood cherries! So here’s Beargrass all ready to knit with! And I found some Shetland that needed to be skeined up. The story of how I got it is here. Then I attempted to chain ply on my electric wheel. With some difficulty, I might add. My fault, not the wheel’s. Whew. Yesterday after finishing spinning the rest of Elfin Magic, I got this shuttle bobbin filled to the limit so that I could ply it with the other bobbin. And I started another spin with an art-ish kine batt of fiber. I decided to put the camel in the collage, too. The peppermint matcha was fabulous! 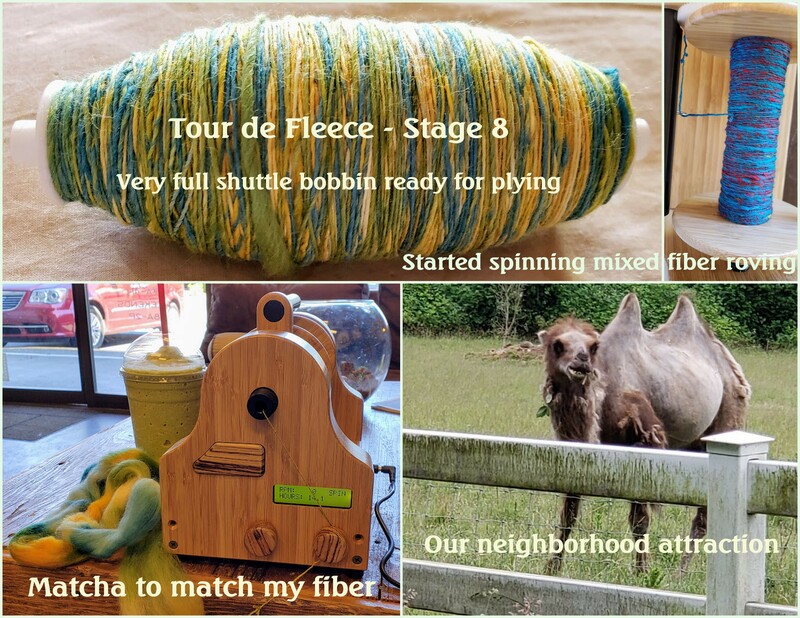 This entry was posted in Da Kine: Sometimes Full-on Pidgin, Handspinning, Tour de Fleece. Bookmark the permalink. Moki-chan, I admire how productive you’ve been. And such beautiful work! Imua! Mahalo nui! You’re the best cheerleader! I see those pom poms flying! !